Update: And just like that, the Doom release date for Nintendo Switch has been confirmed. The decidedly adult title will arrive on Switch on November 10. Though in recent history Nintendo has appealed to our sense of childish fun with excellent first-party exclusives and innovative gameplay, one thing it hasn’t offered is gaming experiences geared towards older audiences. This is something that could, however, be about to change if a recent report from The Wall Street Journal is accurate. According to the report, Nintendo is actively encouraging publishers of more mature titles to release games on the Nintendo Switch in order to shed the console’s limiting family-friendly associations. In the report, several game developers have been quoted as saying that Nintendo has actively encouraged them to bring their adult-targeted titles to the Nintendo Switch. Nintendo’s reputation for being the kid-friendly console option hasn’t exactly come from nowhere – you only have to look at Nintendo’s version of a first-party shooter, Splatoon, to know that the company hasn’t had much interest in violence, blood and gore. If you want that kind of entertainment, you go to PC, PlayStation or Xbox, thank you very much. It may, therefore, be challenging for it to build up a more mature catalog of games and appeal to the audience that plays these titles exclusively as a result. Nintendo is, however, not off to a bad start given that Doom, Wolfenstein 2 and LA Noire will be coming to the console in the very near future (Doom is scheduled to arrive on November 10). Realistically, this is a change that had to happen and it’s refreshing to see Nintendo make these changes so actively. Part of it is, undoubtedly, the potential of the Switch. Nintendo now technically has two handheld consoles with the Switch and the DS line, so it now has the freedom to make one of them geared more towards a younger audience. 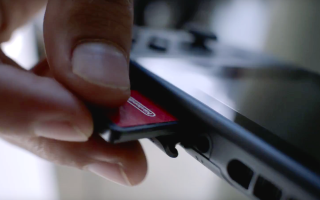 It makes sense to do this with the DS line, given that it's less expensive and less fragile than the Switch. Nintendo is, without a doubt, still the console developer for younger gamers. If it’s able to maintain it's high standard of first-party family-friendly content whilst broadening its third-party mature catalog, these young gamers could very well be convinced to remain Nintendo customers as they get older.